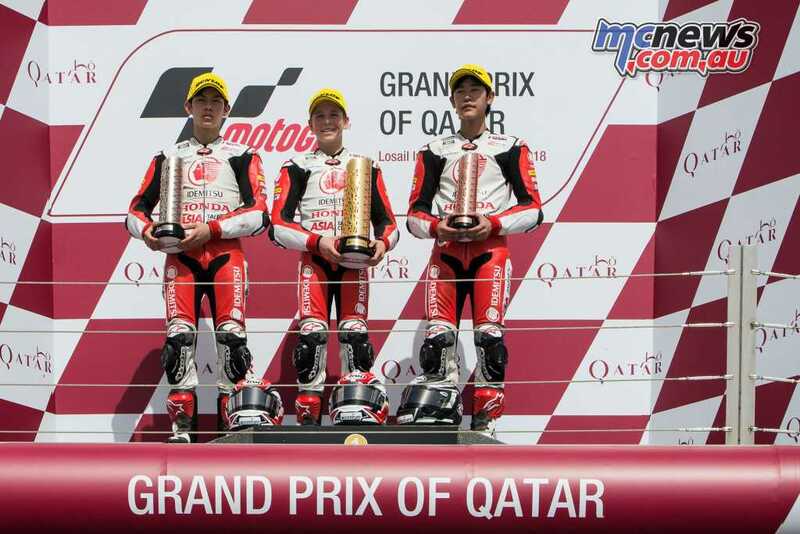 Young Queenslander Billy Van Eerde was triumphant today at Losail in the second race of the opening round of the 2018 Asia Talent Cup. Van Eerde recovered from a major crash on Friday to qualify on the second row and finish seventh in the opening bout but came out all guns firing today to take victory! The result leaves Billy Van Eerde second to Race 1 winner Haruki Noguchi, who was second in Race 2, in the overall standings. 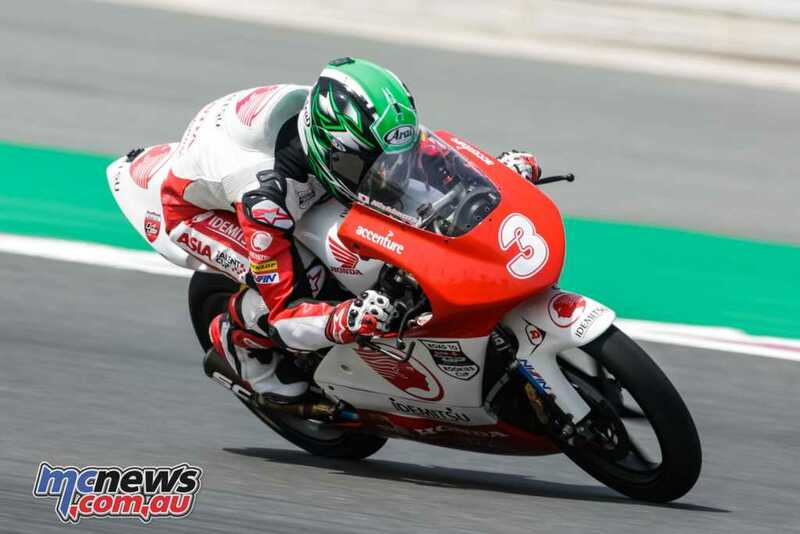 The Idemitsu Asia Talent Cup has its first ever Australian winner after Race 2 in Qatar, with Bilyl van Eerde coming back from a big crash on Friday to duel it out against title favourite Haruki Noguchi on Sunday. Another incredible photo finish – with the riders not even sure who had taken the win – made for a stunning second contest of the weekend. Toshiki Senda of Japan completed the podium, going one better than his Saturday P4. 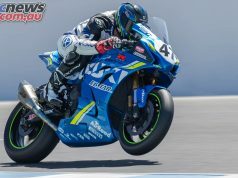 After the desert duel on Saturday, Sunday was more a group war for glory at the front, although Noguchi and Saturday podium finisher Mario Aji again initially took off at the front. But enter Bill van Eerde, as the Australian got into the fight and wouldn’t allow a breakaway. 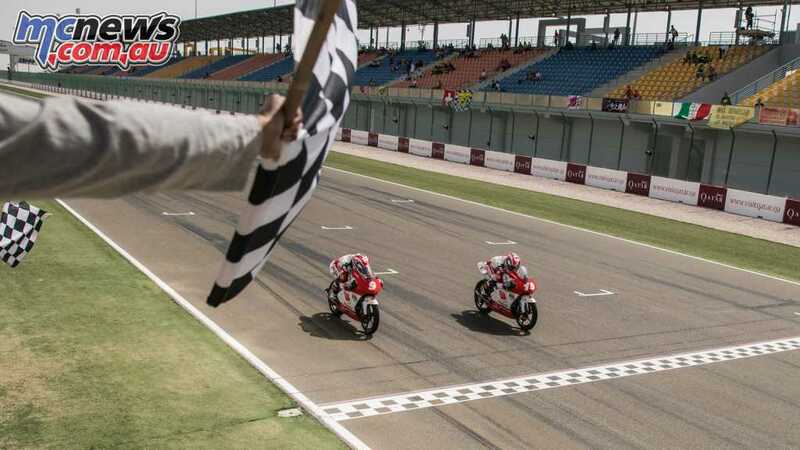 Race 2 was classic Asia Talent Cup racing with riders dicing and attacking, and everything going down to the wire – with the last lap seeing van Eerde and Noguchi able to make a small gap and convert it into a duel. Into the final corner, the Australian was ahead – but Noguchi got alongside on the home straight before the number 19 just nudged back ahead before the line. Senda completed the podium, ahead of another top finish for Race 1 second place finisher Mario Aji of Indonesia. Afridza Munandar took P5, with Senna Agius of Australia putting in an impressive second contest of the weekend as he managed to fight off Race 1 rostrum finisher Sho Nishimura. Polesitter Agung Fachrul had a less dramatic start to proceedings on Sunday and got away from the pole position he earned in qualifying to take P8, with Thai rider Tachakorn Buarsi and Malaysian Danial Sharil completing the top ten. Van Eerde’s fellow Australians Senna Agius also took a strong result, improving on his 13th position in Race 1, to take sixth in Race 2. While Ben Baker was 11th in qualifying, but a NC in Race 2. Senna Agius now sits ninth in the standings with 13 championship points. 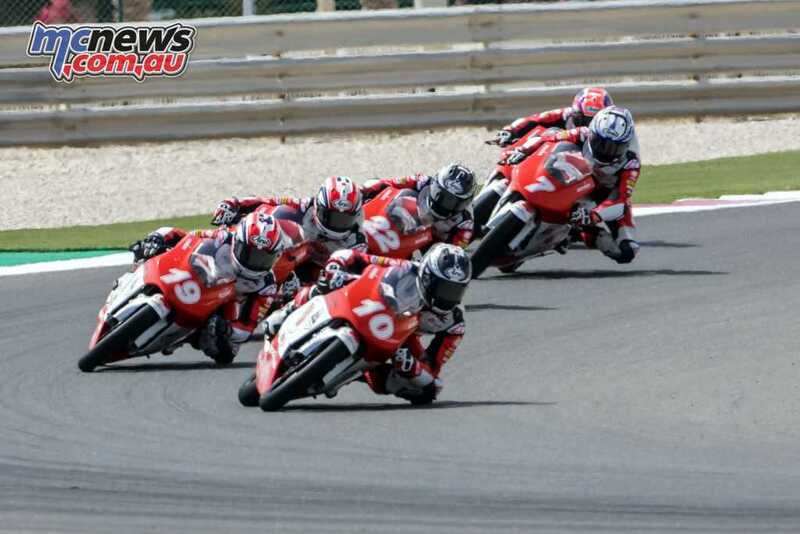 It’s not long until the next race now, with Buriram playing host as the second round of the Idemitsu Asia Talent Cup rides alongside WorldSBK in Thailand next weekend. As always all of the action can be followed YouTube. The first win of the year did go to an expected title contender, but it was far from easy going for victor Haruki Noguchi. The battle went down to the wire after a race-long duel against Mario Aji of Indonesia, and it was just 0.034 deciding the winner by the flag. There was drama from the off as polesitter Agung Fachrul was forced to start from the back after failing to get away on the Warm Up lap, leaving Aji and Noguchi on the front row. And Aji took the lead from the middle, with Noguchi tagging onto his tail and the two then beginning to pull away. The race then looked like it would be set as a duel and that it was, but a it was a spectacular battle between the two and behind. By mid-distance however, Sho Nishimura had made his mark and broken away – looking on for a podium unless any drama unfurled ahead. After swapping positions and almost some paint, Noguchi was ahead out of the final corner – and Aji pulled alongside as the two kept it pinned towards the line. So close it was almost impossible to call, it was Noguchi who just took it – therefore also taking an early lead in the Championship. Behind the front two and Nishimura, who completed the podium, it was Toshiki Senda of Japan who emerged from the brawl to take fourth, ahead of Indonesian duo of Adenanta Putra and Afridza Munandar. Australian rookie Bill van Eerde came back from a big crash on Friday to qualify on the second row and take a solid finish in P7, ahead of Fachul’s amazing fight back. Fellow Australian Senna Agius was 13th and took three championship points.